In order to develop historically correct stories, I have been reading numerous historical documents and scholarly sources. Students in my DTC 354 Digital Storytelling class have worked with me during the spring 2012 to annotate these works so that the information is available to other scholars interested this historical period and the Fort. A special thank you also goes to Greg Shine, Chief Ranger & Historian Fort Vancouver National Historic Site, and Donna Sinclair, Program Manager, Center for Columbia River History, for their help in developing the scholarship for this phase of the project. Beaver, Herbert. Reports and letters, 1836-1838, of Herbert Beaver, chaplain to the Hudson’s Bay Company and missionary to the Indians at Fort Vancouver. Ed. Thomas E. Jessett. Portland, Or. : Champoeg Press, 1959. Chambers, Elizabeth Harrison. Incidents in the life of Elizabeth Harrison Chambers : collected from memory’s pages and compiled November 23rd, 1910, after the hand on the dial-plate of time had measured me off 82 years. 1910. McLoughlin, John. Letters Written at Fort Vancouver 1829-1832. Ed. Burt Brown Barker. Portland: Binfords and Mort (Oregon Historical Society), 1948. —. The Letters of John McLoughlin from Fort Vancouver to the governor and committee. Ed. E.E. Rich ; introduction by W. Kaye Lamb. London : Published by The Champlain Society for the Hudson’s Bay Record Society, 1941-1944. Townsend, John K. 1834. Narrative of a Journey. Corvallis, OR: OSU Press, 1999. Armitage, Susan. “Making Connections: Gender, Race, and Place in Oregon County.” One Step Over the Line. Ed. Jameson and McManus. Alberta, CAN: U of Alberta Press, 2008. Boyd, Robert. The Coming of the Spirit of Pestilence. Seattle: U of Washington Press, 1999. Brown, Jennifer. Strangers in Blood: Fur Trade Company Families in Indian Country. Vancouver: U of BC Press, 1980. Campbell, Marjorie. The North West Company. NY, NY: St. Martin’s Press, 1957. Carley, Caroline. “Historical and Archaeological Evidence of 19th Century Fever Epidemics and Medicine at Hudson’s Bay Company’s Fort Vancouver.” Historical Archaeology. Vol. 15, No. 1, 1981. Cuti, Celeste and Theresa Langford. 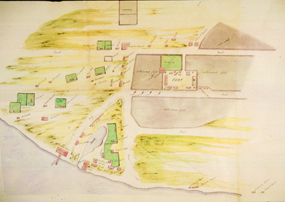 “Furnishing Plan for Houses 1 and 2, Fort Vancouver Village.” National Park Service. Fort Vancouver National Historic Site. August 2009. Fiske, Joanne. “Colonization and the Decline of Women’s Status: The Tsimshian Case.” Feminist Studies 7.3 (1991): 509-35. Hussey, John A. “Fort Vancouver National Historic Site.” Denver : Denver Service Center, National Park Service, 1972-1976. —. The history of Fort Vancouver and its physical structure. Tacoma : Washington State Historical Society, 1957?. Jackson, John. Children of the Fur Trade: Forgotten Metis of the Pacific Northwest. Corvallis, OR: OSU Press, 2008. Kubik, Barb. “A Very Neat and Beautiful Village.” Unpublished text? Peterson, Jacqueline. The new peoples: being and becoming métis in North America. Minneapolis: U of Minnesota Press, 2001. Ray, Arthur J. Indians in the Fur Trade. Toronto: U of Toronto Press, 1998. Roulstone, Thomas B. “A Social History of Fort Vancouver 1829-1849” Thesis. Utah State Univ, 1975. Sinclair, Donna. “Voice of the Past: Re-visioning this place: Chinookan Cultural Persistence on the lower Columbia.” Vancouver Voice, Volume 3, Issue 20, August 27, 2009. Shine, Greg. 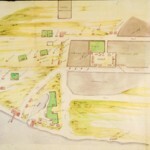 “Interpretation in the Fort Vancouver Village.” Northwest Cultural Resources Institute Report. August 2010. Sleeper-Smith, Susan. Indian Women and French Men. Boston: U of Massachusetts Press, 2001. Van Kirk, Sylvia. Many Tender Ties: Women in Fur-Trade Society. Norman, OK: U of Oklahoma Press, 1983. Williams, Jacqueline. The Way We Are: Pacific Northwest Cooking, 1843-1900. Pullman: WSU Press, 1996. From Hafen, LeRoy. Ed. Mountain Men & Fur Traders of the Far West. Lincoln, NE: U of Nebraska Press, 1965. McLoughlin implore Ogden to formally marry his Metis wife, but Ogden refused on the grounds that such a ceremony was worthless in light of the proof of their long time commitment that had resulted in children. Upon his death, the problem with inheritance was solved by an intervention by Simpson himself, who served as executor to Ogden’s will and ensured that his family at FV was provided for. Trappers could trap a 1000 beavers in a day. 3000 furs was considered a successful expedition. British and American trappers were at odds with one another over the fur trade. British used snow shoes during trapping. Americans did not have them and the British were commanded not to trade any to the Americans so that Americans could not use them to improve their ability to reach good trapping areas. Francis Victor’s book, The River of the West: Life and Adventure in the Rocky Mountains and Oregon (Hartford, 1870) provides an account of women’s contribution in the fur trade and particularly on brigades. Mountain Man Joe Meek tells the story related in Victor’s book of Ogden’s wife who runs into the American camp to save her child who is left on a horse that had wandered into the camp. While retrieving her baby and horse, she saw that many of HBC’s horses carrying beaver fur on them. In front of the American trappers, she grabbed up her horse and the packhorses and took off for her own camp. The Americans at first threatened to open fire on her but seeing her “pluck” and “bravery,” they let her go unharmed. In winter 1833, the Columbia River froze up and kept folks from river travel. From Hafen, LeRoy. Ed. Trappers of the Far West. Lincoln, NE: U of Nebraska Press, 1965. Frank Ermatinger carried a printing press with him out of FV in 1839. This was the first printing press in the West and was “given by a mission in Hawaii for use at Waiilatpu and Lapwai. It ended up at FV until Ermatinger carried it out. From Porter, Mae Reed and Odessa Davenport. Scotsman in Buckskin: Sir Drummond Stewart and the Rocky Mountain Fur Trade. NY, NY: Hasting House Publishers, 1963. Wyeth’s party visited FV in 1834 arriving at the Fort on September 16. A good description of the finery inside the stockade. The mention of the houses with “planed boards turned out by the company’s own sawmill” corresponds well with the houses in the Village. Visitors arriving by way of the river met by the sound of bagpipes is also intriguing. An anecdote on page 92 about “half-breed and Kanaka servants, clad in livery designed by Dr. McLoughlin” provides information about the connection between the Village men and officials as well as the bias toward the Villagers. The sound of Indian drums coming from teepees “outside the stockade, and the chant of red-skinned gamblers crouched around a small campfire” seems out of character for the descriptions of the Village that I have read. The women did not know “proper table manners.” Narcissa Whitman is credited with teaching them how to use utensils and napkins. According to the author, the women began to eat with their husbands once they acquired dining etiquette. From Saum, Lewis O. The Fur Trader and the Indian. Seattle, WA: U of Washington Press, 1965. Women physical looks were generally described in very negative terms and accorded less respect than men from their tribes. The author attributes this bias to the fact that the fur traders and trappers were judging beauty by Western and European standards. Interestingly, Cree and Ojibway women were seen as “the fairest” (121) and “most comely” (122) . The drudgery of Indian life was seen as a factor that contributed to the lack of beauty.